I can see them very well with both Mozilla Firefox, Google Chrome and Microsoft Edge. Formula 1 supremo Bernie Ecclestone says he has been asked to stay at the helm of grand prix racing for another three years, by incoming shareholders Liberty Media. Ecclestone's future as F1's commercial chief has been subject to great speculation in recent days as the sport closes in on the completion of a takeover of CVC's shares by the American entertainment company. Liberty Media is believed to be in the final stages of signing off an $8.5 billion two-stage purchase of CVC's stake, with an announcement expected ahead of the Singapore Grand Prix. Although American Chase Carey is expected to take over as chairman of F1's board, Ecclestone told Reuters on Wednesday that he would remain a part of the organisation too. "They want me to be here for three years," said Ecclestone. Although there had been suggestions the deal would get confirmed this week, it is possible an announcement will wait until a meeting of F1's board next week, when Carey is expected to be appointed. Ecclestone himself said he was unsure of the timing. "Honestly, I don't think anybody knows -- including our friends from Liberty, and Donald [Mackenzie of CVC]," added Ecclestone, who said the negotiations would keep him away from next week's Singapore Grand Prix. "Because all this is going through, they (CVC) want me to be there (in London) to help them with all sorts of things. I can't afford to be away for five to six days." The arrival of an American media organisation to run F1 has been welcomed in many quarters, and Ecclestone also believed that having Carey on board would be good for expanding the sport's presence on social media. "He (Carey) can do lots of things that I haven't done with this social media, which he seems to be in touch with. "He's been dealing with sponsorship with his TV people. Between us we'll get on with it," he said. With the new tires being 25 percent wider than the current ones at both the front and rear, the eighties will be so in next season. Testing and development of Pirelli's new 2017-sized tires is continuing this week, with Ferrari's Kimi Raikkonen and Sebastian Vettel getting familiar with the new grip levels at Barcelona while Mercedes is doing the same in France at the Paul Ricard Circuit with Pascal Wehrlein behind the wheel. Following the first test days last month, Pirelli asked all three participating teams to adjust their mules further to simulate the 2017 downforce levels more accurately. The new tires are 25 percent wider than the current ones at both the front and rear, with the slicks measuring 305/670-13 (front) and 405/670-13 (rear). The diameter of intermediate wets is 675mm, while full wets are 680mm. On Tuesday, 111 laps were completed by Ferrari and 134 laps by Mercedes in warm and dry conditions, with Pirelli reporting no issues. Formula 1 cut back on both the track and tire width after the 1992 season, with the rubber remaining roughly the same size ever since. But the fats are back. I want to him sometimes! During the Formula 1 drivers’ briefing on Friday ahead of the United States Grand Prix, in Austin, Max Verstappen came under fire from his peers for his aggressive and robust defensive driving tactics. Auto Motor und Sport reports that the Red Bull teenager was ”in the dock’ as criticism rained on him from all quarters. Romain Grosjean led the criticism with more comments mdae by Sebastian Vettel, Lewis Hamilton, Kimi Raikkonen and lastly Fernando Alonso. Tight lipped Raikkonen is said to have spoken for over three minutes with regards to the matter, which clearly suggests that the veteran Finn has an issue with Verstappen’s racing style. The drivers then pushed FIA race director Charlie Whiting to establish a ruling which would apply to all with immediate effect. The consensus being that once a driver brakes he must not change his line, to block or obstruct a car behind. Whiting agreed that in future telemetry would be used to ascertain wrong doing in such circumstances. “It cannot be that we only do something when there is a big accident,” added Hulkenberg. Drivers' concerns about the defensive tactics of Red Bull's Max Verstappen have led to Formula 1 outlawing moving under braking. The Dutchman has employed this tactic as a trademark in battles with rivals but many other drivers have complained that it is extremely dangerous. Race director Charlie Whiting was told at the US Grand Prix that there would be a big accident if he did not act. Whiting has issued a ruling saying such moves will be considered illegal. 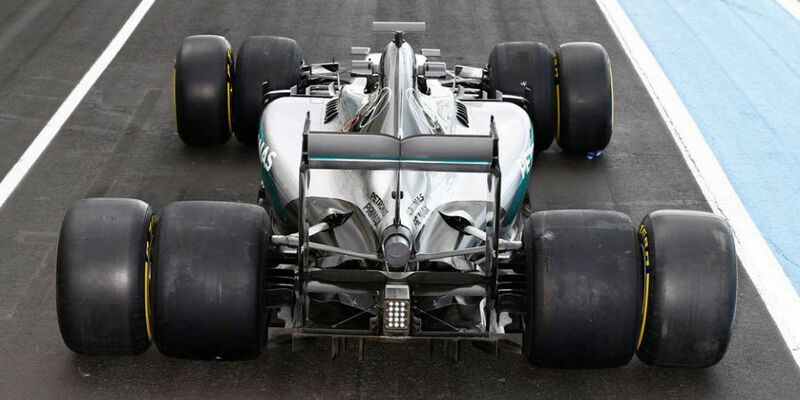 A document released by governing body the FIA ahead of qualifying on Saturday said: "Any change of direction under braking which results in another driver having to take evasive action will be considered abnormal and hence potentially dangerous to other drivers. Any such move will be reported to the stewards." This is likely to become known as the "Verstappen rule" after a series of controversies involving him this year. These have included his battles with Ferrari driver Kimi Raikkonen at the Hungarian and Belgian Grands Prix, and with Mercedes' Lewis Hamilton at the last race in Japan. Mercedes lodged a protest against Verstappen's driving in Suzuka, which resulted in Hamilton taking avoiding action and going up the escape road at the chicane, but subsequently withdrew it. The drivers' concerns about Verstappen's driving focus on two main areas: moving - or changing line - under braking; and what is called "wait-and-move". The second is when a driver defending his position waits to see which side the driver behind will attack on and only moves to defend after he has done so. Many drivers consider both situations to be dangerous and even dirty because they are already on the limit during braking so cannot brake harder and avoiding the car in front is difficult. Whiting has been confronted about the issue a number of times this season. His initial response was that Verstappen was driving on the edge but just within the bounds of acceptability. Verstappen has twice in recent races been taken aside by Whiting and warned to be careful about how he drives in such situations. But after repeated complaints from the drivers, Whiting has been persuaded that he needs to take action. His new ruling is predicated on article 27.5 of the sporting regulations which states that "no car may be driven… in a manner which could be potentially dangerous to other drivers…" and article 27.8, which prohibits any manoeuvre "liable to hinder other drivers, such as… any abnormal change of direction". The drivers and teams have been reminded of article 27.6, which says: "More than one change of direction to defend a position is not permitted. Any driver moving back towards the racing line, having earlier defended his position off-line, should leave at least one car width between his own car and the edge of the track on the approach to the corner." bye bye Mark, Felipe, Jenson.... the old guys are going and the younger ones coming...and nobody can replace Kimi in my heart...i only hope to see Stoffel doing well! I could not believe my eyes. But I bet his family is very happy about it. On the day he is set to collect the trophy for winning his first drivers’ world championship, Mercedes’ Nico Rosberg has announced that he is to retire from Formula One racing. “Since 25 years in racing, it has been my dream, my ‘one thing’ to become Formula One World Champion,” said Rosberg via social media. “Through the hard work, the pain, the sacrifices, this has been my target. And now I’ve made it. Rosberg, who won nine Grands Prix this year en route to the title, said he began contemplating his future at October’s Japanese round, and then made his decision within 24 hours of last weekend’s thrilling finale in Abu Dhabi, where he secured the podium finish he needed to become champion. “When I won the race in Suzuka, from the moment when the destiny of the title was in my own hands, the big pressure started and I began to think about ending my racing career if I became world champion,” he continued. “On Sunday morning in Abu Dhabi, I knew that it could be my last race and that feeling cleared my head before the start. I wanted to enjoy every part of the experience, knowing it might be the last time… and then the lights went out and I had the most intense 55 laps of my life. Rosberg began his F1 career with Williams in 2006 before moving to Mercedes for the 2010 season. He won his first Grand Prix with the Silver Arrows in China 2012 and went on to take a total of 23 victories from 206 starts, twice finishing championship runner-up to team mate Lewis Hamilton before taking his maiden drivers’ crown. “This season, I tell you, it was so damn tough,” confessed Rosberg, who admitted thoughts of his family had played a part in his decision. “I pushed like crazy in every area after the disappointments of the last two years; they fuelled my motivation to levels I had never experienced before. And of course that had an impact on the ones I love, too - it was a whole family effort of sacrifice, putting everything behind our target. Rosberg, whose father Keke won the F1 world championship in 1982, revealed the other concern in his decision had been his Mercedes team, who will now have to find another driver to partner Hamilton in 2017. Rosberg announced his decision at a press conference in the Austrian capital of Vienna, where on Friday evening he and Mercedes will collect their 2016 championship trophies at the annual FIA Prize-Giving gala.